For Chael Sonnen, it is being the wild ride. The ADCC has made the announcement on Tuesday night that upcoming opponent of Sonnen, Frank Mir, is out of the fixed super fight scheduled between the fellow Bellator fighters at the ADCC World Championships, which is going to take place next month. So, after the quit Frank Mir, Sonnen now officially had two opponents drop out and not the one from the super fight. However, it is not Sonnen is would not be seen fighting in the championship, instead the good news is that head coach of CheckMat Leo Vieira, who is also the and the two-time ADCC world champion has taken and answered the call. He is ready to take on “The American Gangster”. The match is scheduled to take place on 24th of September in Finland. July 25, 2017 . No comments. 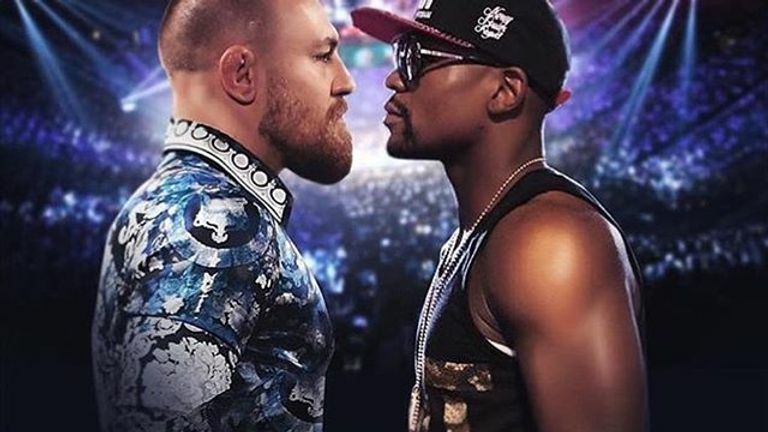 Floyd “Money” Mayweather and Conor “Notorious” McGregor their world press conference tour, stopping in four locations, to promote their up and coming fight on the 26th August. The fight is to be held at the T-Mobile Arena, Las Vegas and it is almost imaginable that anyone who is alive is unaware of this fight. To promote the fight both fighters travelled around the globe to showcase the spectacle. Four days, four cities, three countries, the United States, Canada, and the United Kingdom were all privileged to witness the two fighters go head to head with verbal insults. There are also plenty of opportunities for betting fans in the Mayweather vs McGregor betting odds. The Bellator NYC PPV event between Sonnen vs. Silva will be holding at the Madison Square Garden. However, for fans who would be unable to get to the arena to witness the fight live, could still get to experience the event. This however would be in a different atmosphere. Several select movie theaters all over the U.S is expected to air the card. Helping to broadcast the June 24 pay-per-view from New York City is Fathom Events who would be broadcasting in about 350 select movie theaters. Fans who wish to purchase tickets can do that through the website of Fathom Events. A press release sent out by Bellator has it that for a one night showing, itsPPV event featuring Chael Sonnen (29-15-1) and Wanderlei Silva (35-12-1) can be accessed and watched in theaters. An exclusive commemorative poster will be given to fans when they purchase their tickets. The live broadcast is expected to begin at around 10pm ET/ 7pm PT in cinemas nationwide. A heavyweight fight between the legend Fedor Emelianenko (36-4) and Matt Mitrione (11-5) is also expected to be on the card. 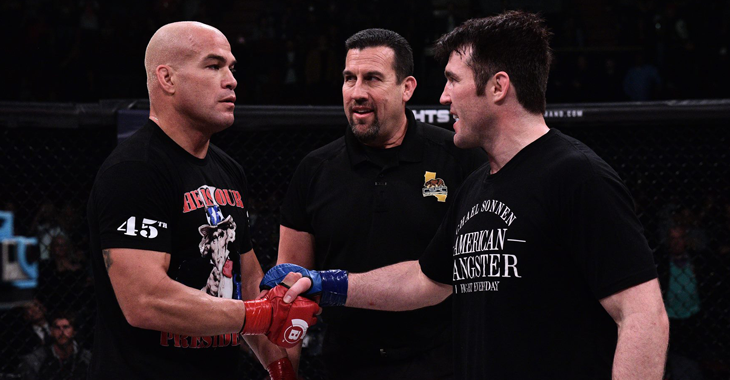 Living with the fact that ChaelSonnen might have defeated Tito Ortiz in a college wrestling match about 20 years ago, but he doesn’t expect that historical past fight to have any impact on their fight at Bellator 170. “I happen to be his huge fan. I’m pumped to be in there with a Hall of Famer like Tito. I will make sure I secure a victory against him, nevertheless, I don’t dismiss how good this guy is. He finished in the college before me. He wisely used his opportunities, and I am always jealous of him. I’m still convinced he has a remarkable career to run.” ChaelSonnen said. The 39-year-old fighter, who wrestled for the University of Oregon, moved from 177 pounds to 190 pounds to face Ortiz, who competed for Cal State Bakersfield. “The Gangster from West Linn” pinned Ortiz in 44 seconds in their Jan. 23, 1998 match, a date which also happened to be Ortiz’s birthday. The status of former three times UFC champion Chael Sonnen may change as the player is contemplating a dramatic return to the ring. Sonnen who has been out on a two years suspension having tested positive for a banned substance is now ready to make his comeback to the arena that made him a champion. The former UFC champion is thought to be nursing a comeback as he has been admitted for drug testing with the United States anti-doping agency (USADA) which is the norm for fighters who may have retired but still desire some feel of the action at the Octagon.